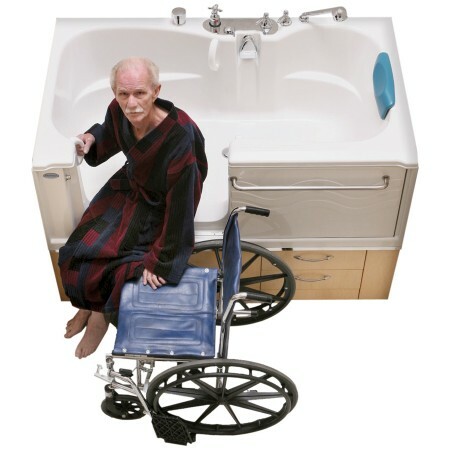 Aquassure Accessible Tubs give you a real bathing experience. Stretch out, relax, and enjoy bathing as it was meant to be. 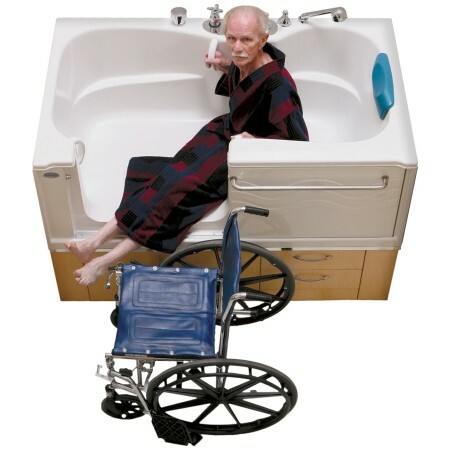 Aquassure’s universal design bathtubs differ from the standard walk-in bathtub. You can stretch out your legs and relax in a full-size, deep soaker tub, immersing your back and shoulders in warm, soothing water. They are accessible from wheelchairs, walkers, and lifts. They are the same five foot length as a standard bathtub for trouble-free installation. Safe, accessible, full-size baths designed for everyone. Elevated, so you are always supported, and don’t have to climb up and down. It’s like getting in and out of bed. 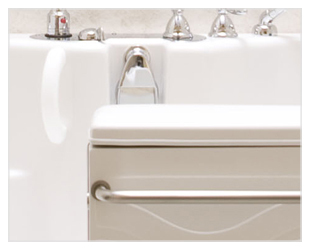 Aquassure Accessible Tubs were developed with collaboration of two universities and several health organizations. Aquassure’s patented sliding door won’t get in the way of your legs and feet, and doesn’t need extra clearance in front of the bath. Bathe in comfort and safety with all controls in easy reach. A hand shower is available, so you can easily wash your hair. Our Safety Plus System provides maximum water flow while maintaining a safe temperature to prevent scalding. Experience Aquassure hydrotherapy baths for maximum the health and circulation benefits. Aquassure’s Safety-Plus bathtubs include a ¾” thermostatic temperature-control, anti-scald safety valve. Standard bath and shower fixtures, like Aquassure’s Basic System, use 1/2-inch valves. The bather must adjust the hot and cold mix with every bath. With a thermostatic valve, the temperature is pre-set and the valve will automatically go to that temperature again when the water is turned on. Our ¾” thermostatic valve allows up to two and a half times the flow of a standard system – up to 18 gallons per minute, filling your tub more quickly. 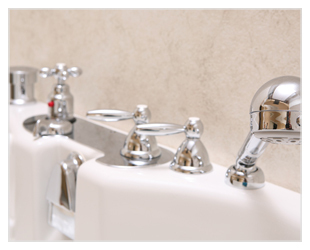 Thermostatic valves help to prevent scalding injuries by controlling the temperature of the water filling the tub. This is especially important for those who have decreased sensitivity to hot and cold due to stroke, diabetes or nerve damage. To help you maneuver in and out of the bathtub in safety and comfort, Aquassure bathubs include four preinstalled ADA-Compliant grab bars at just the right height. An optional extension handle is available for the door handle. This is recommended if the bather has poor arm and/or shoulder mobility and/or low strength. This provides greater access and leverage for both arms. Only the Aquassure bathtub comes with a patented sliding door. Sliding door doesn’t get in the way of legs, walkers or wheelchairs. Opens and closes by sliding securely in its track. Door latches automatically when closed – lift up the handle to release. No bulky levers or drop pins to remember. Easy-glide door is simple and easy to open when tub is empty – very little effort is needed. Unique seal design uses water pressure to increase seal integrity, preventing leaks and accidental opening. Door track has a secondary drain as a backup – no spills on the floor. The Aquassure bathtub sits on top of a cabinet base. 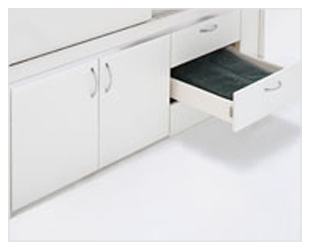 Every Aquassure bathtub includes a cabinet base with two drawers and a cupboard. 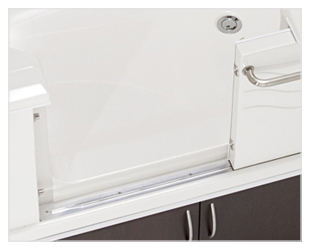 The cabinet raises the tub doorway to 20-inch* seat height, making entry easier from a wheelchair or walker. The predrilled frame is made of water-resistant, laminated 5/8” wood, not particle board, so it will not swell or warp from moisture. The cabinet provides handy storage space for soaps, towels and other bathroom articles. 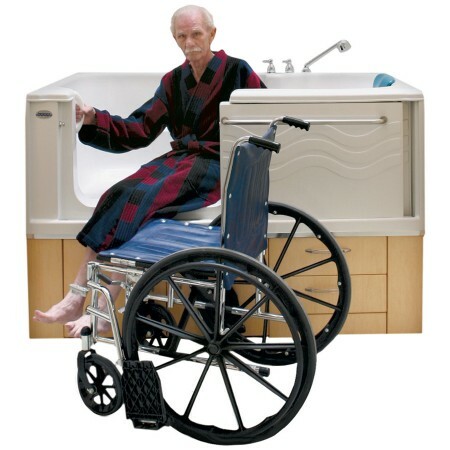 Cabinet doors are spaced so that a wheeled lift may be used to assist the bather in and out of the bathtub, if needed. High-quality European hinges and durable door slides are included. Hardwood veneer and bamboo upgrades are available unstained or in a wide range of finishes to custom match your existing décor and cabinetry. 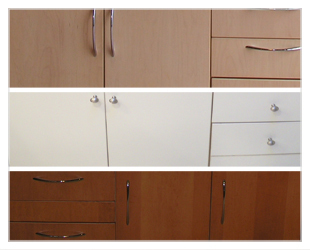 Cabinet height can be adjusted plus/minus 3-inches – for a door entrance between 17 and 23-inches. Tub can be ordered without cabinet fronts, to allow for on-site cabinet matching or tile front. Tub can be ordered without cabinet base and the base can be custom-built on-site. This package does not include plumbing fixtures. This package allows you to choose your own wall or deck mount fixtures. Aquassure’s Basic System includes chrome lever-style ADA Compliant controls with a hand shower. 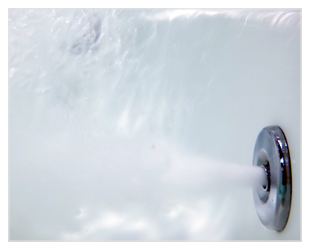 Aquassure Safety-Plus bathtubs come pre-installed with premium anti-scald, high-flow valves. This includes easy-to-use ADA-Compliant lever handles. Our Electronic Touch Control System uses high-flow valves controlled by a touch-pad with digital temperature display and fingertip control of all tub functions. Aquassure is pleased to offer a chemical-free, ozone system that sanitizes the equipment without exposing the bather to irritating chemical residues or ozone. 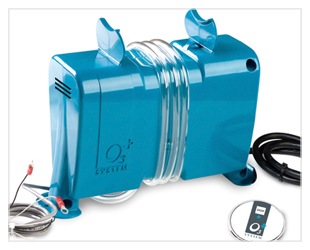 The O3 System will sanitize the bathtub system after each and every use. The O3 System minimizes the risk of cross-contamination infections. After a bath cycle, the O3 System automatically activates a one-hour delay timer for the sanitizing process. The system will start the cleaning process for a period of 15 minutes to sanitize the jet systems. There is a manual override if you wish to use the tub while the disinfection system is running. Ozone will eliminate all known disease-causing microorganisms such as bacteria, viruses, yeasts, mould, mildew and cysts. It breaks down harmful chemical residue and dissolves minerals. You will not need expensive and potentially harmful cleaning products for this disinfection system. The system is not only safe for the environment, but is also gentle on bathtub components. 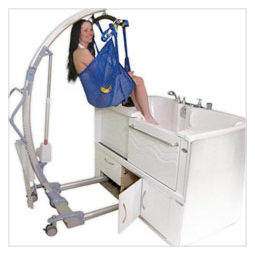 This system is a recommended add-on to hydrotherapy jet systems, especially inmulti-bather and facility situations. Gently heated bubbles massage your body and circulate the water. 600-Watt integrated heater blows heated air into the water, not cold air. This maintains water temperature and prevents rapid cooling of the bath water. 20-jet air system is perfect for use in assisted living and long-term care homes. Promotes relaxation and eases tension. Automatic purge cycle to ensure there is no moisture or contamination in the system. Allows trouble-free use of bath oils and additives. The variable-speed system can be set for a vigorous stimulating bubble massage down to a calming, gentle, warm-air circulation. For individuals requiring more assistance, there is clearance for a wheeled lift. 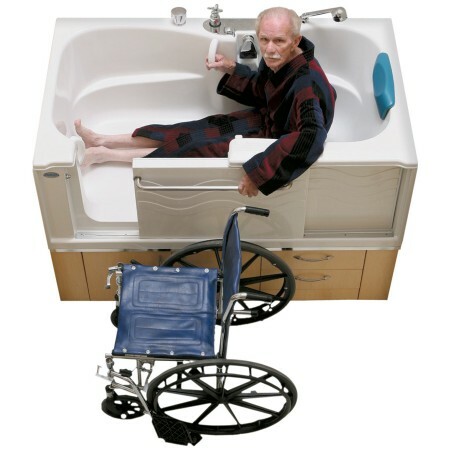 Some bathers have difficulty remaining in a seated position in the bathtub due to core weakness or paralysis. Aquassure has an optional 4-point seatbelt as well as a belt harness that the bather can use to secure themselves in place once in position for bathing.